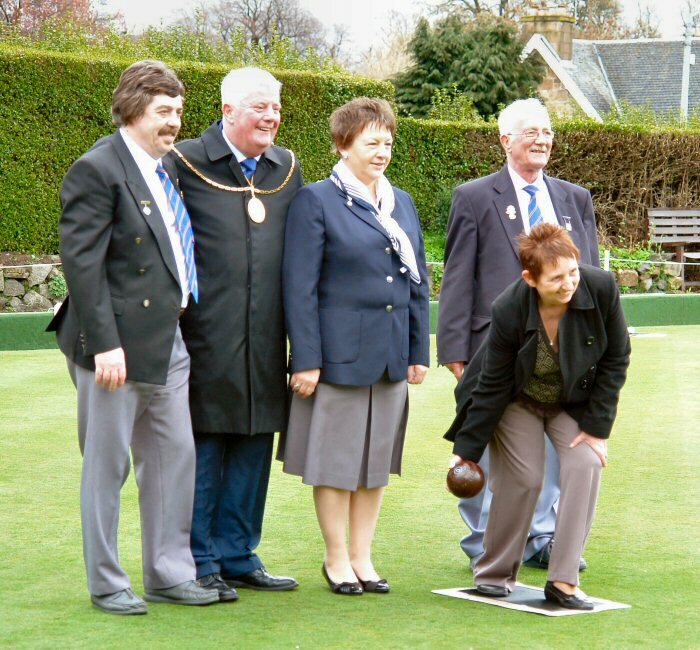 Feb 10th 2009 Club AGM. We were delighted to have Provost Clearie and his wife Pam along with representatives from the SBA, GBA and RDBA in attendance along with representatives from our local clubs. One of the new members this year was the President's grandson Jamie McAlpine. 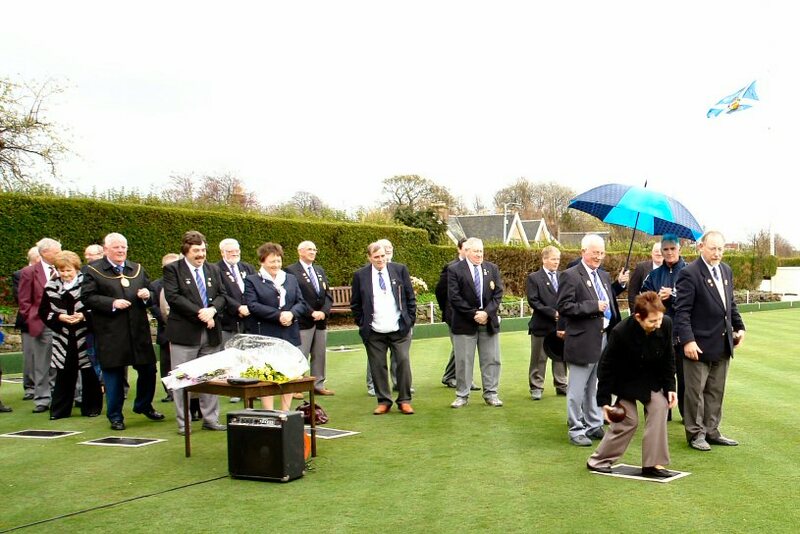 President's wife Sheila throwing the first bowl of the new season to declare the green open. 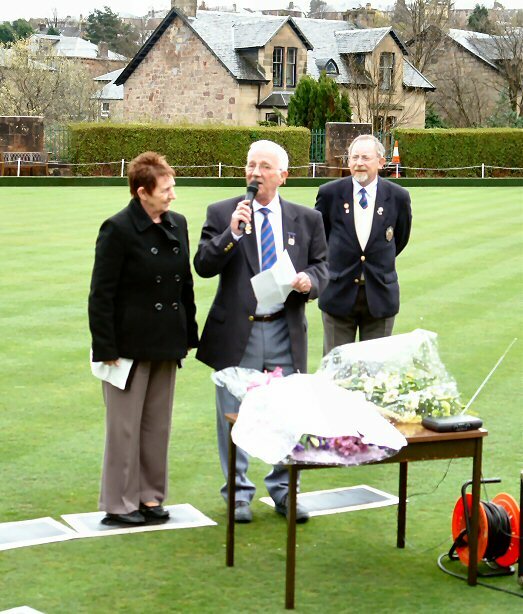 in memory of her son, Colin Thomson ( 'CT' ) who died in November 2008. 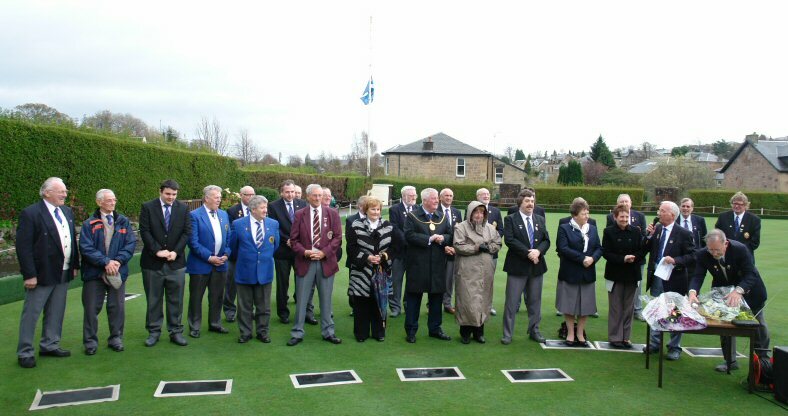 Provost Russell Clearie paid tribute on the day. See flag unfurling video taken by Director Derek McCutcheon. A bit windy and it interfered with the sound however Derek did well in capturing the full event.